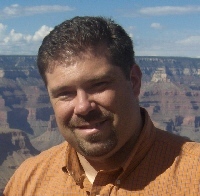 Dr. Bradford spent much of his childhood in Idaho Falls, Idaho eventually moving with his family to Arizona as a teenager. He attended High School on the west side of Phoenix and finished his senior year in the White mountains of Arizona. Much of the new growth of Surprise and Sun City Grand is where Dr. Bradford spent much of his time as a youth riding his off-road motorcycle in the open desert. Dr. Bradford attended dental school at Northwestern University in Chicago until they announced their unexpected closure. He then transferred to University of Lousiville in Kentucky where he finished his dental degree. Dr. Bradford immedietly began an intense two year Master degree residency in Endodontics at St. Louis University in Missouri. When the opportunity presented itself, he was thrilled to return with his family to Arizona and begin working. He moved to the valley in 2002 where he worked for 3 years before opening his own Endodontic practice here in Sun City West and Surprise Arizona. Amanda will be the first to welcome you into our office. Amanda is knowledgeable with the detailed operation of running our front office. She will schedule your appointments, answer questions, and file your insurance claims. Please let Amanda know of any financial or insurance concerns so that she can assist you and help make your visit an excellent experience. Amanda's primary concern is to make your visit as timely, pleasant, and professional as possible. Renee works in the back office as a dental assistant. Renee has a vast amount of knowledge in the dental field and has worked many years in general dentistry as a dental assistant. 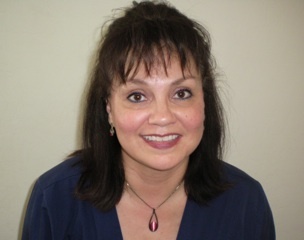 We feel lucky that Renee made the switch to Endodontics and joined our team. Renee has a calm demeanor and gentle sensitivity which will ensure that your visit to our office is not only comfortable but enjoyable.